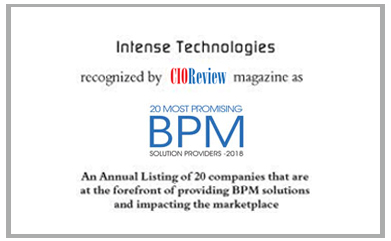 Hyderabad – May 3, 2018 : Intense Technologies has been featured on the list of top 20 promising BPM solution providers published by CIOReview magazine. The list features innovative leading solution providers from across the globe offering technologies and service that aid in Business Process Management. 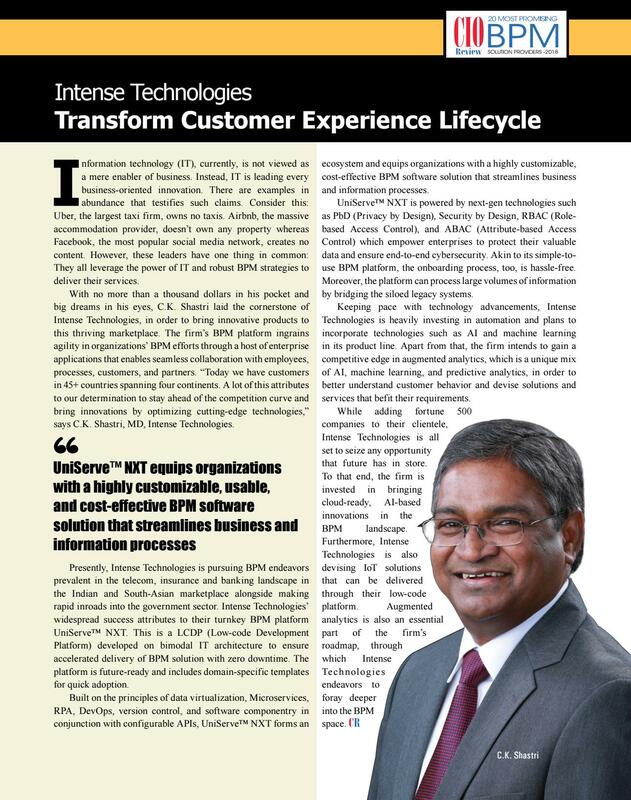 A distinguished panel comprising of CEOs, CIOs, CMOs, analysts, and the editorial board of CIOReview have selected these top players that have exhibited vast knowledge and in-depth expertise in delivering BPM related solutions. As mentioned by CIO Review, BPM platforms continue to evolve and Intense Technologies’ BPM platform ingrains agility in organizations’ BPM efforts through a host of enterprise applications that enables seamless collaboration with employees, processes, customers, and partners.